Budapest Film Zrt. is the largest arthouse cinema network in Hungary, operating six cinemas in the capital city, including one multiplex and five leading art house cinemas. All five arthouse cinemas are members of Europa Cinemas and each of them has a specific profile. Művész (meaning ‘Artist’) Cinema was built in 1910. The leading and archetypical arthouse cinema screens real and rare art films. It has five digitized screens, each of a different size and capacity. Művész is also a meeting place and cultural hub in Budapest. It is also home to several international film festivals, film seasons, special screenings and premieres. Puskin Cinema, the classic movie theatre in the city has been screening motion pictures since 1926. 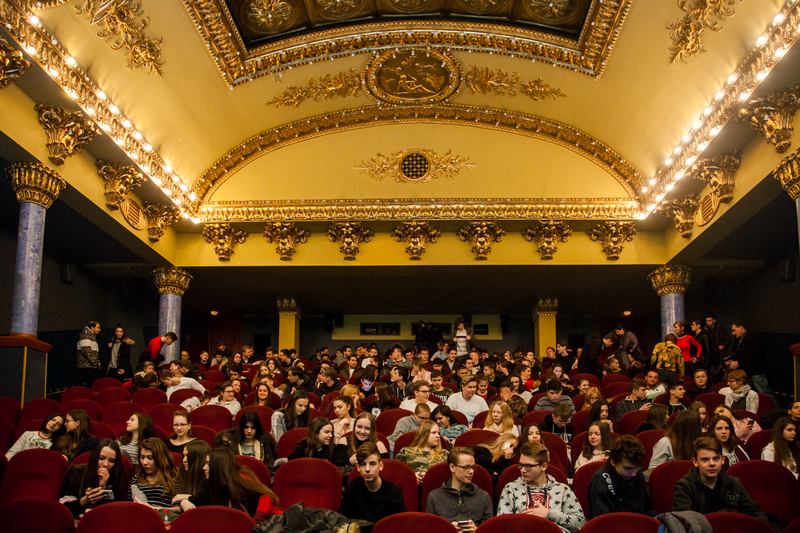 Since this cinema has managed to preserve its original and characteristic architectural and interior features, it is no surprise that many international cultural institutes and partners prefer this venue for film seasons and festivals. Puskin Cinema is also active in introducing alternative content such as projected classic concerts and opera performances, as well as programmes offered for younger audiences. Toldi Cinema first opened in 1932. This twin-screen modern arthouse cinema is home to an incredibly high number of popular events and festivals which attract lots of young visitors. The cinema, which has a screening capacity of 260, continues to fulfill its function as a popular gathering place, with its cool bar for young people. Kino Cafe was founded in 1911. This second-run friendly twin cinema holds a School-Cinema programme, film clubs, festivals and events. Tabán Cinema was built in 1910. 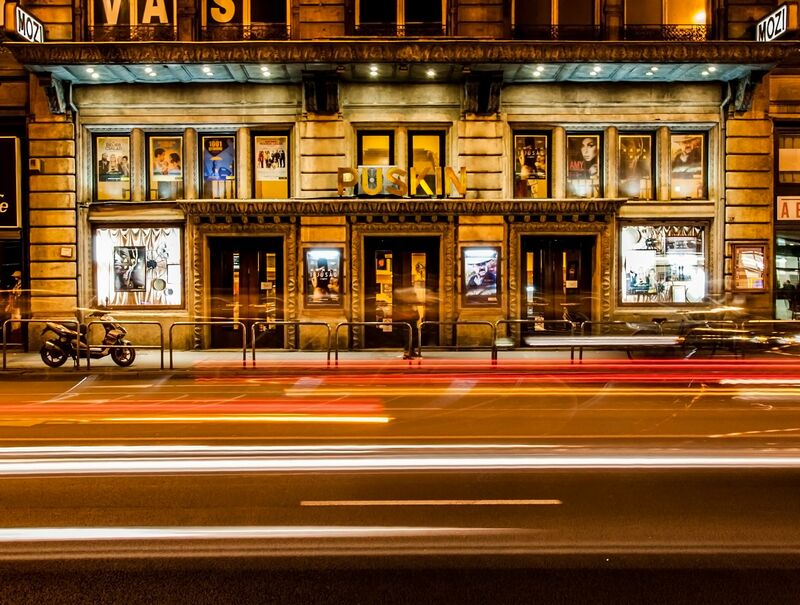 The cinema’s profile was redefined by Budapest Film to become a modern, open, minimally designed, welcoming place with quality art house programming and a bar offering home-made, healthy food and drinks (no alcoholic beverages). Our company’s mission is to be the leading art house and classic cinema exhibitor in Budapest and Hungary, to continue to provide quality moving picture content in our cinemas, as well as other culturally valuable initiatives, and a comprehensive young audience cinema programme. In the framework of this latter project, we focus on educating a responsive and open audience of children, from toddlers to students. Our policy’s key-words are: give & serve quality offer and be the change we wish to see in the cinema business (taking our cue from Gandhi). To reach these objectives, each of our cinemas has its own image that we take into consideration when creating the weekly programme. In addition to creating different brands for our cinemas with our programming strategy, we want to strengthen each venue with specified alternative content and cross sectoral events. In 2017, we hosted 741 special programmes (festivals, film days, etc.) in our cinemas. The goal is to engage and develop our audience with the widest range of films possible, quality programming, and the cozy surroundings of the venues themselves. As for the films shown in our five arthouse cinemas, 2017 was a highly successful year for the diversity of our offer and at the box office, too. At the top of our ultimate top lists were some fantastic European and Hungarian films. The top film in our Kino Café, Művész and Tabán cinemas was PERFETTI SCONOSCIUTI by Paolo Genovese. For the Puskin cinema it was an Hungarian film, ON BODY AND SOUL by Ildikó Enyedi and 1945 by Ferenc Török took first place in the Toldi cinema. Also sitting in the top list, THE SQUARE, FRANTZ, and VICTORIA AND ABDUL, all European productions. The American titles that performed best included LA LA LAND, JACKIE, MOONLIGHT and PATERSON, while JULIETA and KEDI flavoured our top list. What we are really proud of is engaging more teenagers and students in cinema-going, instead of just downloading movies. This is the mission of our young audience programme, titled ‘Suli-Mozi’ (School-Cinema), where school groups of different ages come and visit, see films and experience the magic of a classic movie theater. This programme uses films to address relevant contemporary topics that primary and secondary school pupils have a great interest in. In addition to viewing the films, they have the opportunity to analyze the subject with the help of experts, authors and artists. In professional cooperation with the Moholy-Nagy University of Art (MOME) we screen the students’ short animations as part of our pre-show entertainment. In return, they get a cinema release of their diploma works. These are introductory films at the cinemas and, in 2017, we asked them for a short film communicating our "Please turn off your phones" campaign. It is very successful among our audiences, and every screening begins with laughing voices. To map the Hungarian film market, in 2017, there were 36 art-house screens in the countryside, 20 in Budapest, of which 14 belong to our cinema group. There were 66,294 screenings in the whole country’s arthouse cinemas, of which 36 % were in our halls. The challenge is to fight against the strong monopoly of the market leader multiplex exhibitor.